Police have issued a new appeal for help. A pedestrian who was hit by a car last month and now died from his injuries. The 57 year-old man was taken to hospital on June 22 when the crash happened but West Yorkshire Police confirmed today that he has since died. 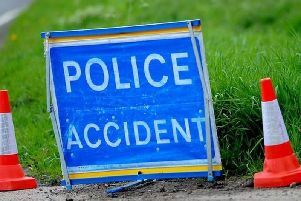 Officers are still investigating the collision between the man and a white Mercedes A180 on Bradford Road in Brighouse. The car was heading in the direction of Bailiff Bridge and the driver remained at the scene. Sgt Ann Drury, of the Major Collision and Enquiry Team, said: "Our enquiries are ongoing into the full circumstances of the collision and we would like to hear from anyone who witnessed the incident to please get in touch with police. "We would also like to hear from anyone who saw the pedestrian or the white Mercedes driving in the area prior to the collision, to get in touch with us." Anyone with information is asked to contact police by calling 101 and quoting log number 1396 of 22 June.